For a very long time Lovers Key State Park could only be accessed by boats. It was recognized as an island for lovers to travel to when they wanted to enjoy the remoteness and solitary of the park. Today, this beautiful park is accessible by tram or boardwalk. Unfortunately, due to staffing issues and budget cuts Lovers Key State Park does not presently offer their guests a camping experience. The park does feature a beautiful beach that guests are welcomed to come and enjoy instead. The park does feature outdoor showers for day guests. The showers can be found in the bathhouses that are located on the south beach as well as the main parking area. 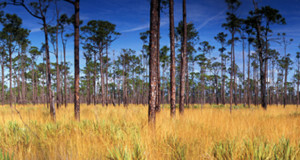 There is also a four acre recreational and relaxation facility that is perfect for families. The facility includes two playgrounds, BBQ grills, nine pavilions, a volley ball court, restrooms, and open space for individuals who want to play or fly kites. 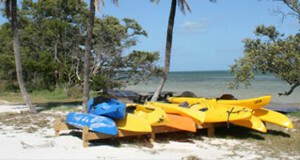 Some of the activities that individuals come to Lovers Key State Park to enjoy include: bicycling, boating, canoeing, kayaking, swimming, fishing, picnicking, hiking, nature trail walks, shelling, and guided tours. 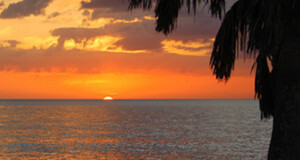 Lovers Key State Park is open from 8AM until sunset every day of the year.